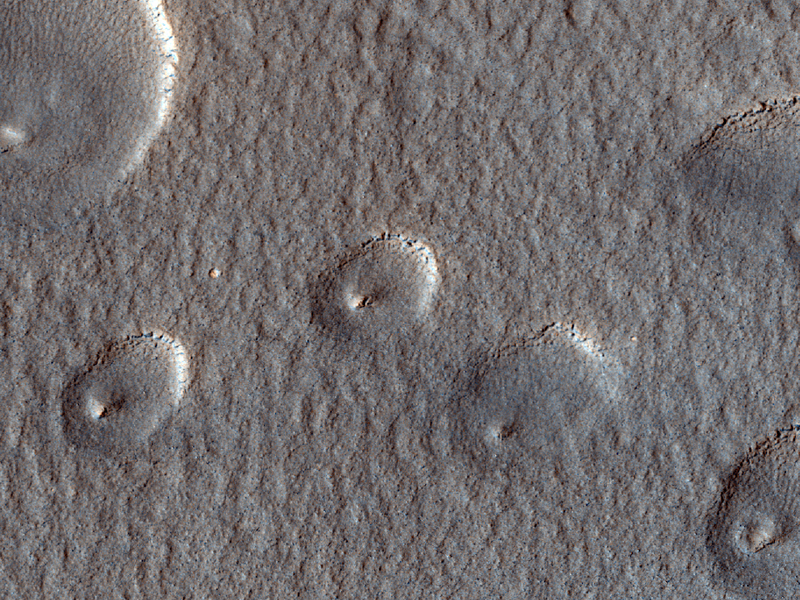 Today's Image of Mars shows streamlined features in Cerberus Fossae, as taken by HiRISE. 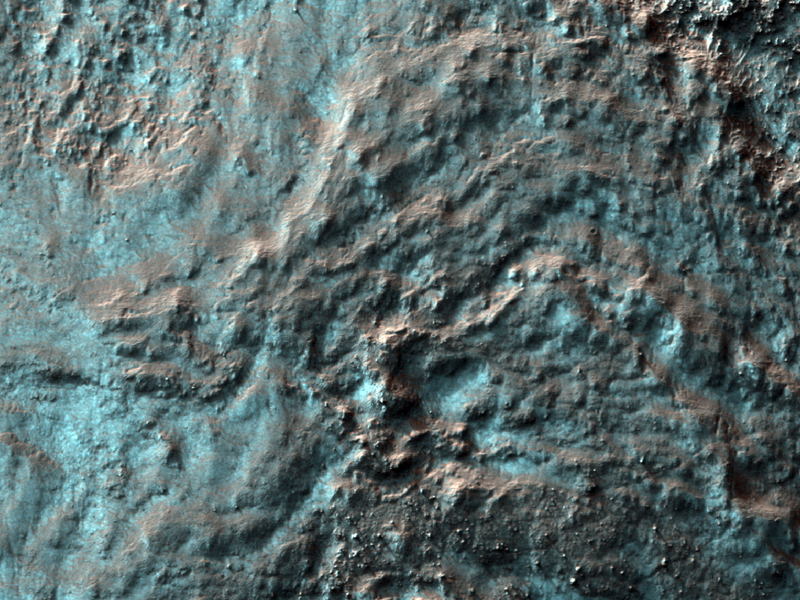 These are indicative that water once flowed across the surface of Mars and eroded islands into what we see below, most particularly at the upper left of the image. Just imagine a huge wall of water washing over an island. Now imagine this happening constantly. It's going to flatten that island out, smashing it in the direction of the water flow. That's what happened in the image below. These features also exist on Mercury and the Moon, where they were formed by lava, but scientists believe the case is different on Mars. 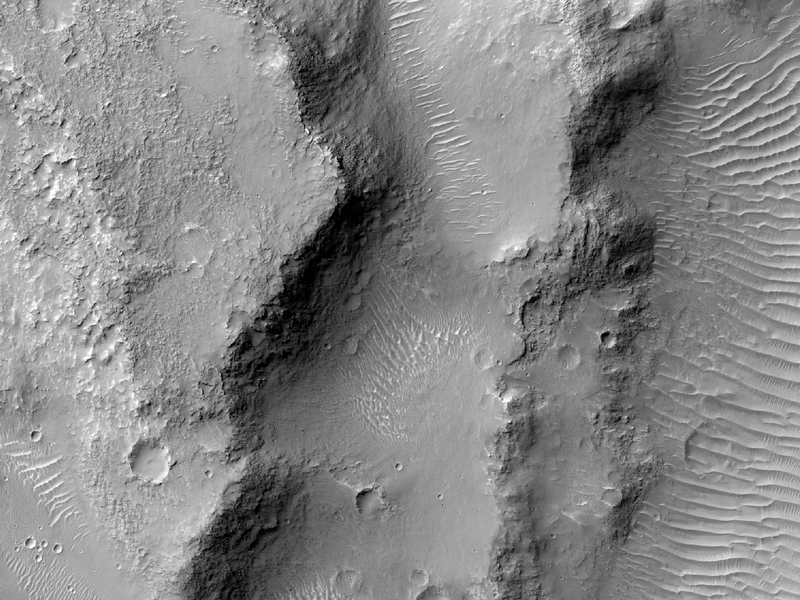 They believe that on Mars these streamlined features were created by flowing water, which then evaporated or went underground. 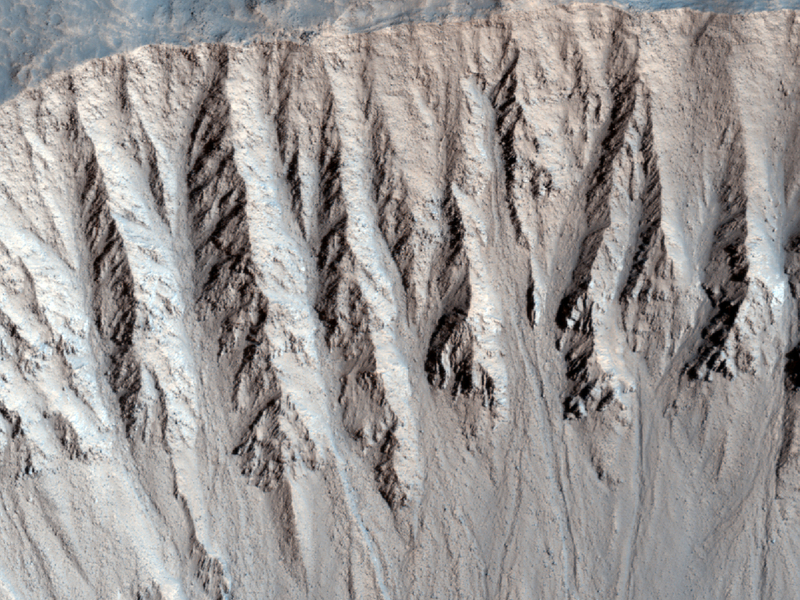 These streamlined features occur in areas where scientists believe large channels of water existed. In almost all instances the features have a layer of lava overlying them, which lends credence to the theory that the features were eroded by water, and covered by subsequent lava flows. SpaceX Falcon 9 launch was successful! See this SpaceRef article for further details! Edit: Countdown reached 0, but the mission was aborted! A high chamber pressure reading was detected on Engine Number 5 of the first stage. Sometimes when a Falcon 9 experiences this it is a simple fix, but because the clock was at one second before discovery the rocket will have to go through the startup sequence again and all systems need to be rechecked prior. New Launch Date and Time: 3:44:34 a.m. EDT, Tuesday 22 May 2012. Watch live coverage of the SpaceX Dragon spacecraft on its way to the International Space Station. 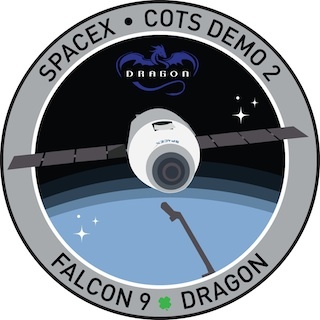 The Dragon capsule will launch aboard a Falcon 9 rocket at 0455 EST on May 19 2012. The video will play automatically at least one hour before the new launch. This video is hosted by SpaceFlightNow. For tweeted updates on SpaceX's historic mission. Should this mission succeed (and we hope it does!) it will be the first time a commercial spacecraft has docked with the ISS. This unprecedented mission will bring the United States one step closer to eliminating reliance on Russia for launch vehicles to the ISS. 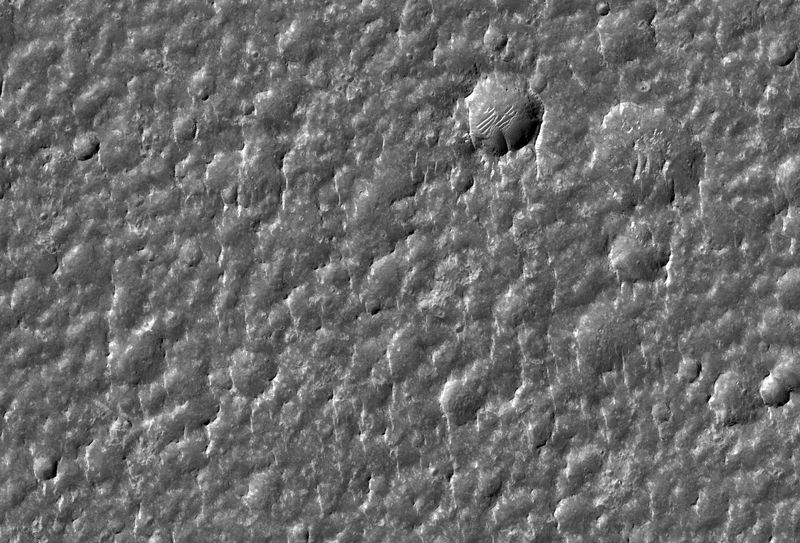 Today's Image of Mars shows the rim of an extremely recent impact crater in the Cydonia Colles Region, as taken by HiRISE. But how do we know that this is a recent impact crater? An impact crater is deemed recent when it has a sharp rim, meaning that it is only lightly eroded. Generally crater rims undergo a process of erosion that wears away the sharpness of the rim. This occurs over hundreds of thousands, if not millions of years. What does the term 'recent' mean? The term recent is relative. In this case it is used in the geological sense, which means the crater could have formed tens of thousands of years ago or longer. 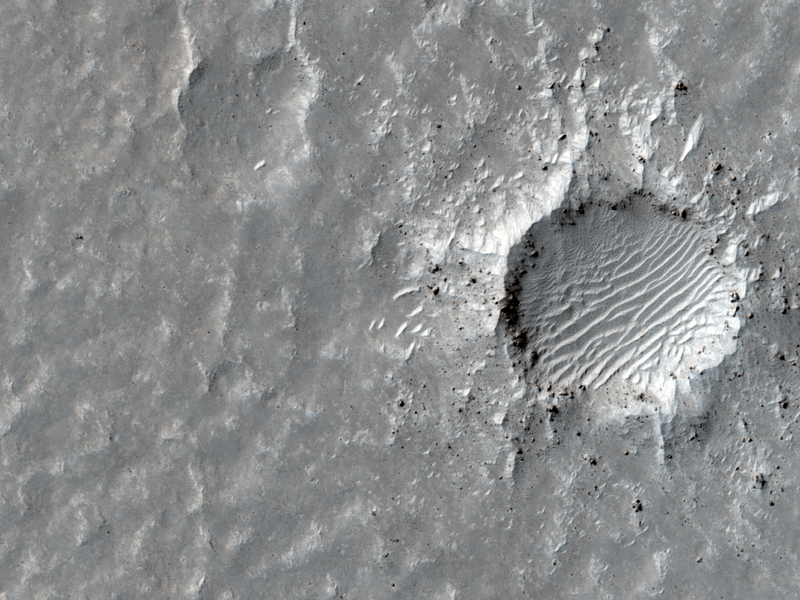 The key is that it isn't as old and eroded as Gale Crater or other ancient impact sites. On Mars it can take a long time for features to change. Because there is no precipitation on present-day Mars, the wind is the only eroding element. 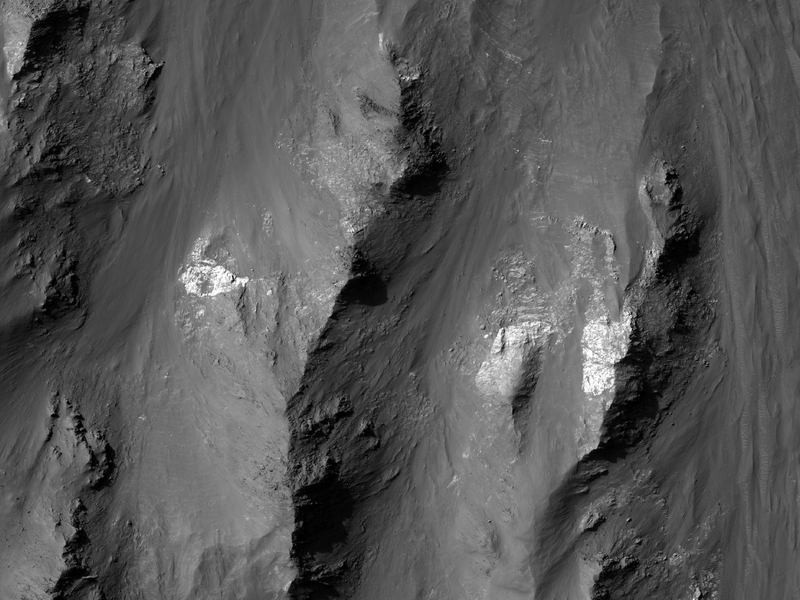 This means that it takes a long time to wear down sharp crater rims, sometimes millions of years depending on the area. Today's Image of Mars shows the Tharsis Trio (Arsia, Pavonis, and Ascraeus Mons) and Olympus Mons off to the Northwest. 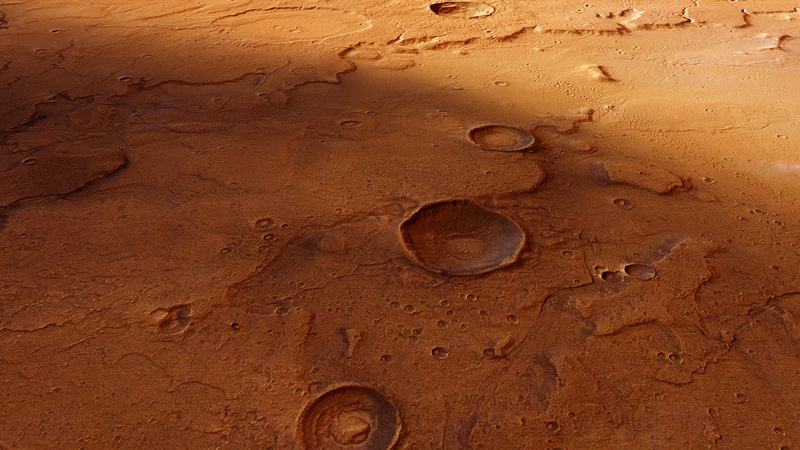 This image is very similar to one previously showcased by Mars Travel from the European Space Agency's Mars Express. The Tharsis Trio are aligned in almost a perfect line pointing Northeast. Scientists speculate that all these volcanoes formed from a larger fracture/vent system that caused the three initial eruptions that created the Tharsis Trio. 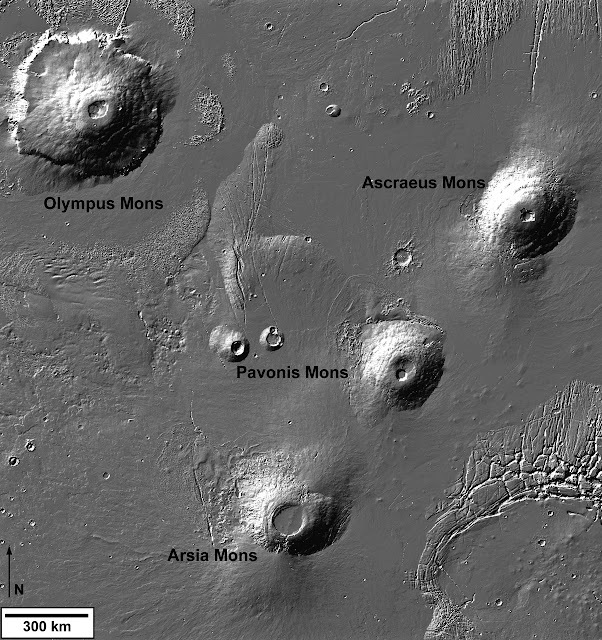 In other images you can see the vents pointing Northeast from Arsia Mons toward Pavonis and Ascraeus Mons, which lend credence to this theory. As far as I can tell this image was taken by Mars Odyssey Orbiter's THEMIS (please correct me if I'm wrong) Click on this image to see the original high resolution image. Arsia Mons measures nearly 16km (12mi) high and over 435km (270mi) wide, with a caldera (opening) measuring 110km (72mi) in diameter It is the southernmost of the Tharsis Trio, which also consists of Pavonis Mons to the north and Ascraeus Mons to the north of that. 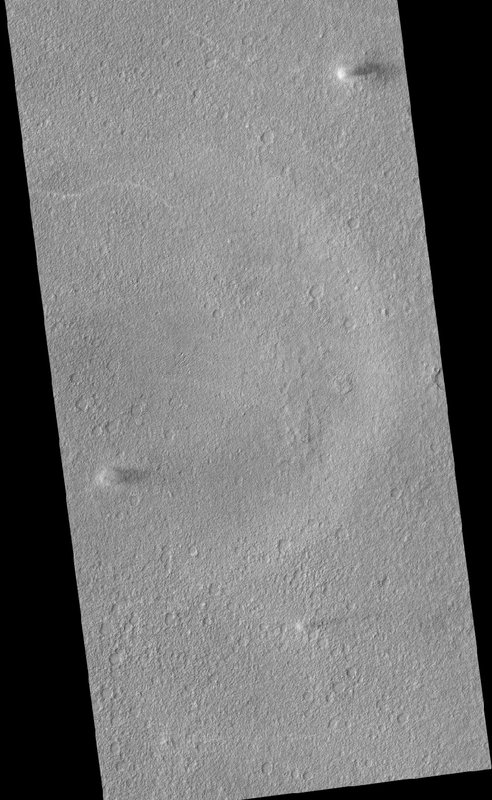 While Arsia Mons may be larger than any volcano on Earth, it pales in comparison to the largest volcano yet discovered in the solar system, Olympus Mons, which measures 22km (16mi) high. Coincidentally Olympus Mons is relatively close to the Tharsis Trio (right). 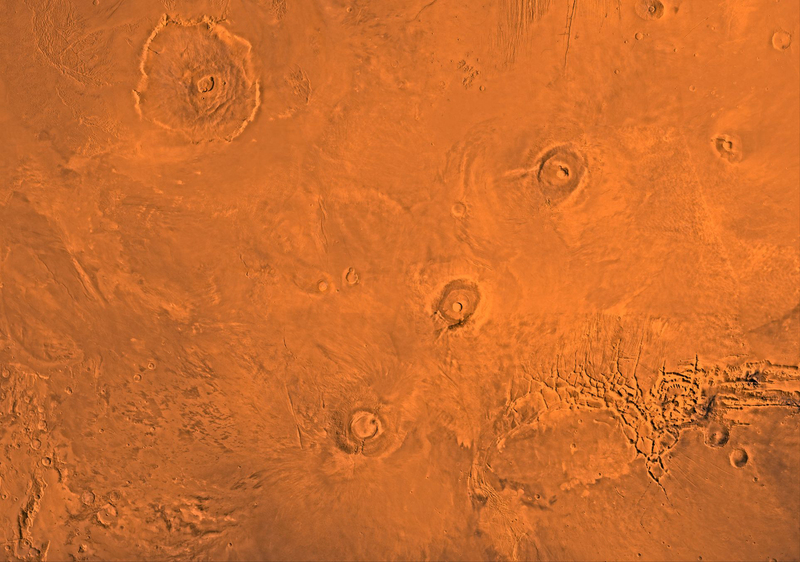 These volcanoes lie in the Tharsis Quadrangle on Mars, which contains an abundance of volcanoes. The region is thought to have been volcanically active as recently as 100-250 million years ago, which is relatively recent in geological terms.Scientists believe that the abundance of volcanoes in this region had an astronomical impact on the climate of Mars because the carbon dioxide and water vapor emitted from them would have been enough to create an atmosphere thicker than that on Earth! This means that the environment we currently see on Mars may be drastically different than what it used to be! 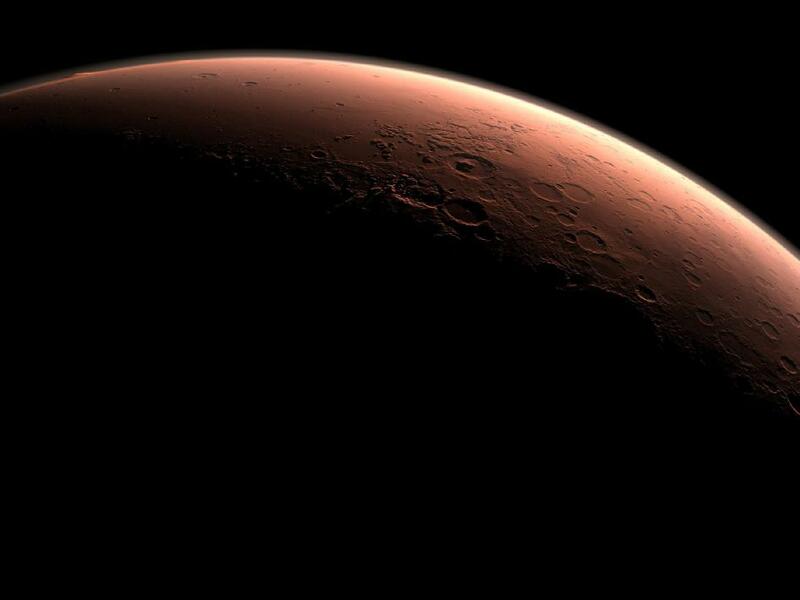 The Tharsis volcanoes would have had a direct impact on that, so determining how long ago they were active will help scientists to determine at which point the Martian climate changed! Today's Image of Mars shows how the Tharsis Trio (Arsia, Pavonis, and Ascraeus Mons) pale in comparison to Olympus Mons, the largest known volcano in the solar system. 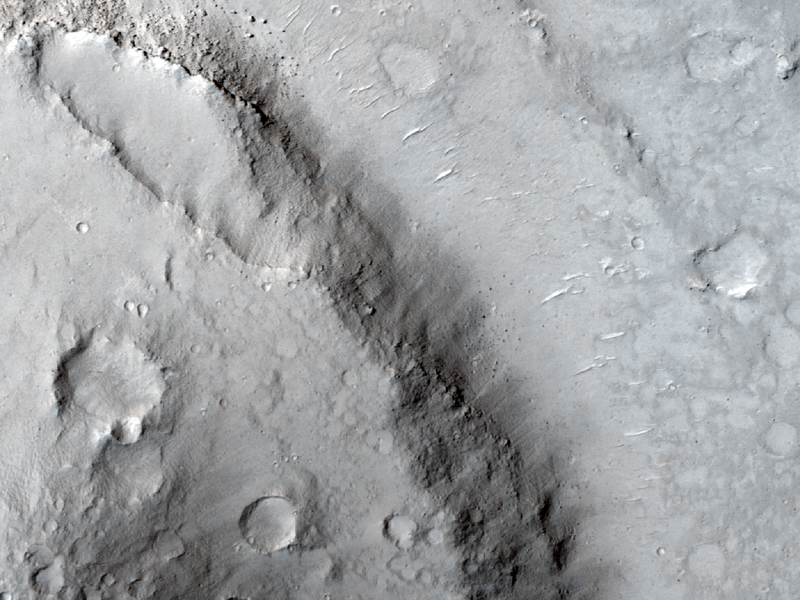 Of the Tharsis trio, Arsia Mons is the oldest and Ascraeus Mons is the youngest. The Tharsis Quadrangle is full of volcanoes and is thought to have been volcanically active as recently as 100-250 million years ago, which is relatively recent in geological terms. It is thought that at one time the abundance of volcanoes in this region had an enormous impact on the climate of Mars. Scientists have determined that the amount of carbon dioxide and water vapor released into the air by all the discovered Tharsis volcanoes would have been enough to create an atmosphere thicker than that currently on Earth. If this is the case the environment on Mars could have been completely different than what we see in images today.